This library provides all of the functionality of the Bluetooth Stack interfaces including profiles and protocols at the lower levels. 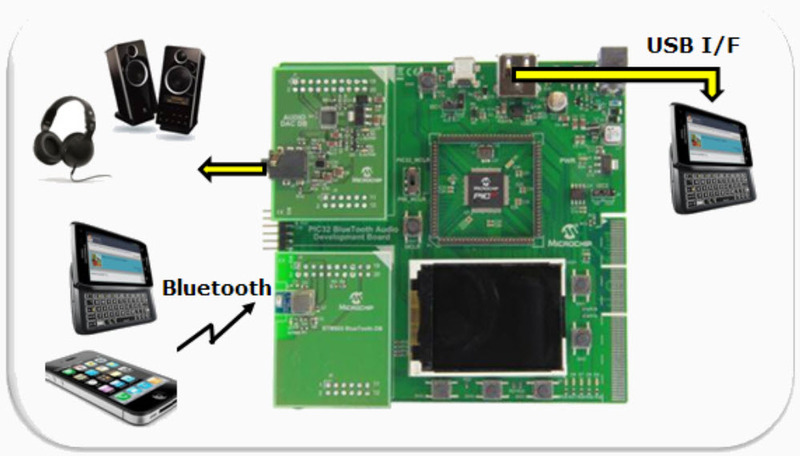 These are utilized in a number of demonstration applications used in the PIC32 Bluetooth Audio Development Kit. Specific demonstrations to illustrate the various connection options, data and audio communications and control interfaces are available for purchase through Microchip Direct. The PIC32 Bluetooth SPP-only (Serial Port Profile) Stack Library is created under license from Searan LLC, and uses the dotstack™ framework. This library has been qualified for use and a QDID is available from the Bluetooth SIG. More information about the qualification process can be found in the "PIC32 Bluetooth Audio Development Kit Reference Guide" (DS70005140). The PIC32 Bluetooth SPP-only Stack Library is available only in binary format. When a license is acquired it may be for SPP (data) only, or with access to SBC or AAC decoders. The different licenses come with a number of specific applications. For more information on the license options please see http://www.microchip.com/pic32btsuites. The license to the stack must be procured from Microchip, and it is specific to the Microchip PIC32 microcontroller architecture. Some licenses require a one-time fee conveyed when a customer purchases the demonstration applications for the PIC32 Bluetooth Audio Development Kit (P/N DV320032). SPP (data only) - This is a special version of the library available to carry data only. The decoder options have been removed in this case. The license is available for Microchip PIC® products, but is free of charge. Special demonstrations and the library for this product can be found under the SPP section by visiting http://www.microchip.com/pic32btsuites. SBC Decoder - This Bluetooth license also grants the user the ability to use the baseline audio SBC decoder which is provided as a separate library. The demonstrations include stand alone Bluetooth audio streaming using this decoder, and other applications which combine the use of USB and Bluetooth audio. AAC Decoder - This Bluetooth license also grants the user the ability to use the audio AAC decoder if a connected device supports this form of streaming. For devices that only support SBC, the SBC decoder is also included. All demonstrations of the (1) license are included. In addition, new demonstrations are included that make specific use of the AAC decoder both with and without USB options. Break-in Feature with SBC Decoder - The break-in feature enables multi-connection support and a "Party mode" where multiple handset devices can take turns sharing the Bluetooth connection to stream SBC audio. This also supports the single connection SBC audio streaming in SPP. All licenses are available through microchipDIRECT. 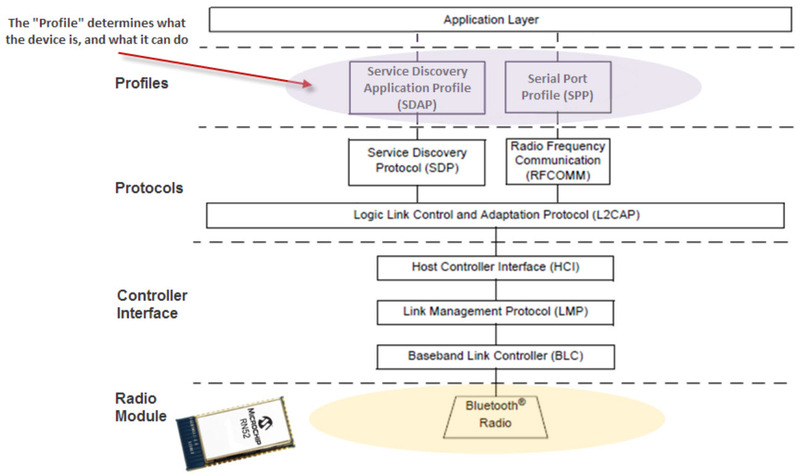 More details on the specific application demonstrations can be found in the "PIC32 Bluetooth Audio Development Kit Reference Guide" (DS70005140).